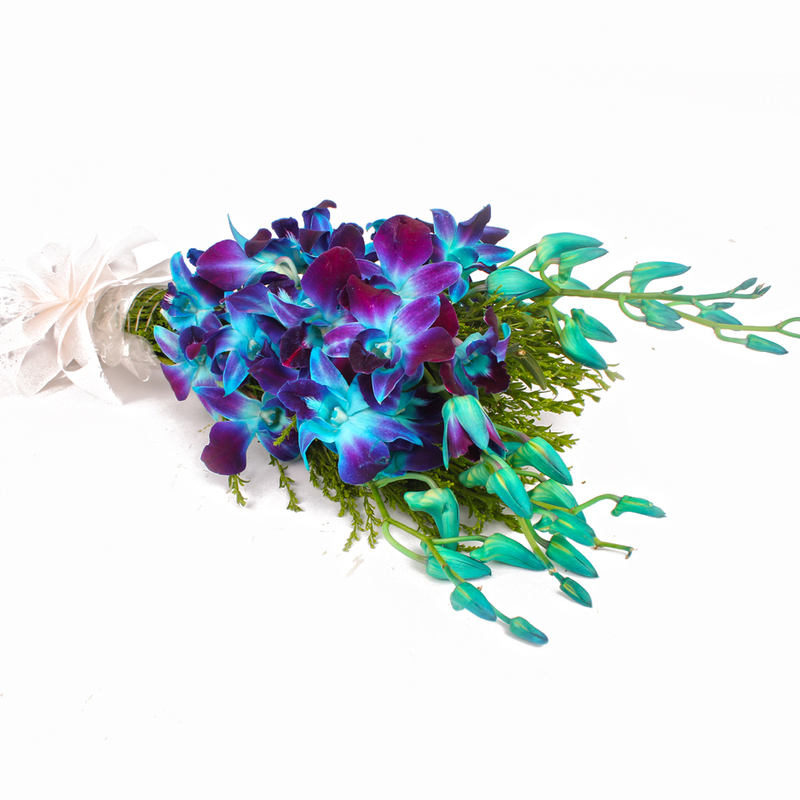 Product Consist : 6 blue Orchids with green fillers in cellophane Wrapping with Ribbon Bow on it. 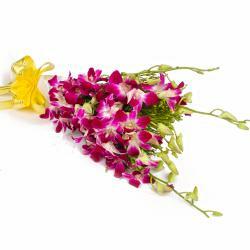 Charming, cute and attractive are adjectives best suited for this gift pack. 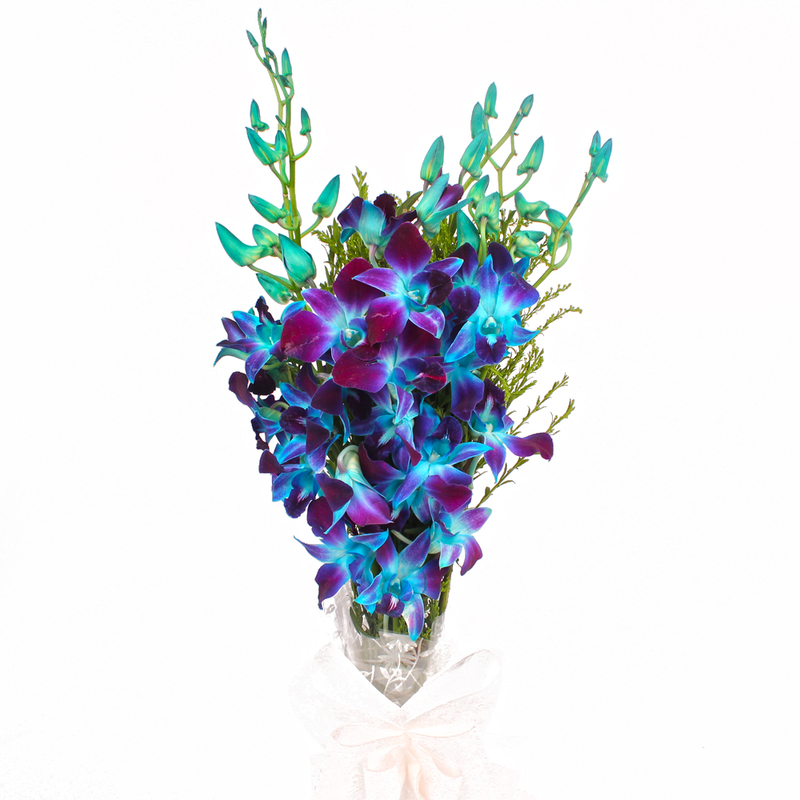 This pack contains six stem of blue orchids each that look really splendid to say the least. 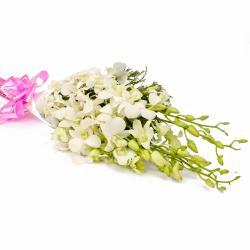 These orchids come in cellophane wrapping that will certainly wow you with its elegance and style. This gift pack promises to be a good gifting solution when it comes to special occasions like Anniversary, New Born, Janmashtami, Grandparents Day from birthdays. You will find it hard to bypass this attractive bunch of six blue orchids without a doubt. 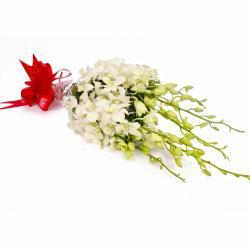 Send this flower arranged through Giftacrossindia. 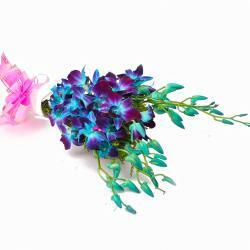 Product contains : Six Stem of blue Orchids with green fillers in cellophane Wrapping with Ribbon Bow on it.